*End the workout when you reach your max. Mark your time down and each subsequent round you will see how much farther you can get! 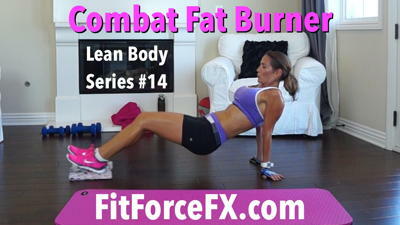 Disclaimer: FitForceFX strongly recommends that you consult with your physician before beginning any exercise program. You should be in good physical condition and be able to participate in the exercises shown. You should understand that when participating in any exercise or exercise program, there is the possibility of physical injury. If you engage in this exercise or exercise program, you agree that you do so at your own risk, are voluntarily participating in these activities, assume all risk of injury to yourself, and agree to release and discharge FitForceFX from any and all claims or causes of action, known or unknown, arising out of FitForceFX's negligence.